The final Nintendo Direct for Super Smash Bros. Ultimate reveals a classic Street Fighter and a Pokemon character added to roster. For the most ambitious crossover fighting game in video game history ever, Super Smash Bros. Ultimate has assembled every fighter in series and more. Bandai Namco and Nintendo will bring this mega-action blockbuster on December 7 for Nintendo Switch. In the latest reveal of the game, the final roster for the game is unveiled by director Masahiro Sakurai. Months ago, he promised that players will have a look at every character included in this title and now there are a total of 74. Only a while ago, we knew that Sakurai is going to host the 40-minute long video released today to reveal the remaining characters and more details on the game. A cinematic opens up in a grand fighting arena where Little Mac from Nintendo's Punch-Out series has been punching his opponent to a corner and suddenly gets hit back in the face. His rival is then revealed to be Ken Masters from Street Fighter series. Turning up the heat of the fight, Ken releases a Hadoken that Lil' Mac barely escapes and from behind the audience a pair of glowing eyes silently observes. He ends the fight with one of his finishing moves, sending his adversary off the ring. Ken Turns Up The Heat! The individual from the shadows now heads towards the ring and leaps from above to land directly on Ken but he moves at the last moment. The challenger with his fiery wrath is now revealed to be Incineroar from the Pokémon franchise. Avoiding a few moves thrown at him, Incineroar hurls Ken on the ring ropes and throws him in the air to perform a series of wrestling moves on him (much like the ones fellow Street Fighter Zangief would use) before finishing the match by sending Ken flying off. 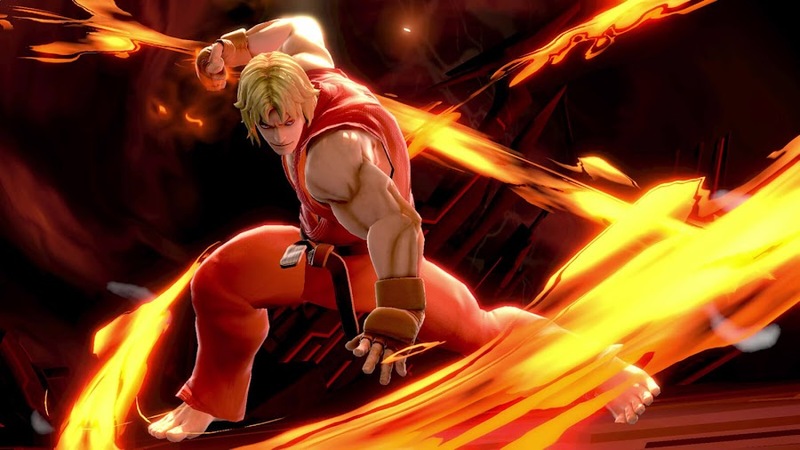 Joining as an Echo Fighter, Ken is adapted for Ultimate based on the version of his character from Super Street Fighter II Turbo. Despite being fairly similar to Ryu, he appears to be faster in the game and deals damage in varied form than his counterpart. Ken also has a different shaped Hadoken, tatsumaki senpuukyaku hurricane kick delivers more hits and his fiery heavy shoryuken uppercut can burn his challengers. 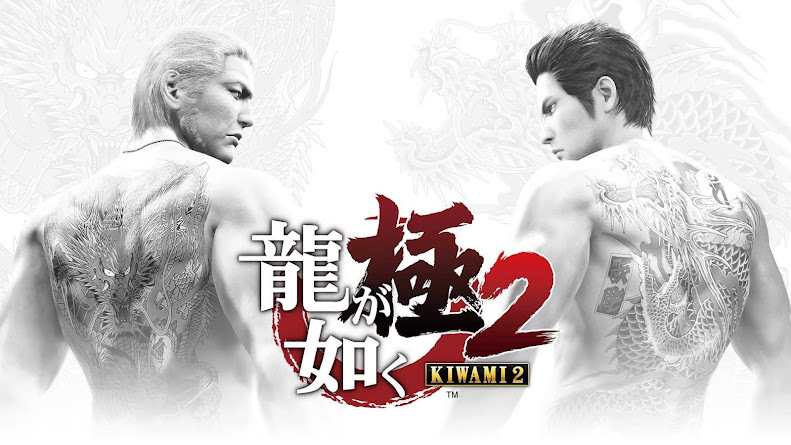 The spinning Shinryuken and Shippu Jinraikyaku are among two of his final smash attacks. Hailing from Pokémon Sun and Pokémon Moon games and the final evolution stage of Litten, Incineroar brings a bunch of pro-wrestling moves for SSBU. This buff cat-wrestler has debuted at number 74, also the last drafted to the brawl. A creature of fire-based attacks, he specializes in carry out lariats and different suplexes on his rivals in a fight to crush them good. Besides, fire-type Pokémons are known to beat the living crap out of other from their race and he is here to throw his powerful punches. Few of the long-running norms and rules are changed for SSBU as offering stage selection before choosing your players. Also, several characters that appear as Echo Fighters are not just simple re-skin of another character but their attack damage or speed features are slightly tweaked to make them stand out. 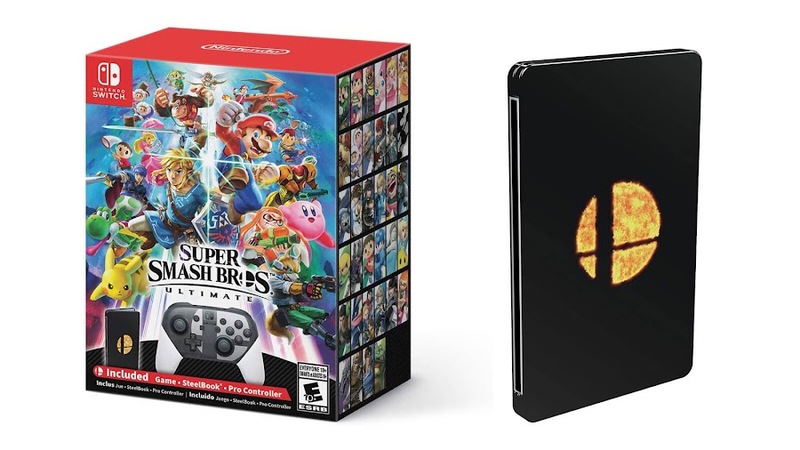 To get your hands on the Ultimate Special Edition at launch that comes in steelbook case, just place your pre-order for Super Smash Bros. Ultimate before December 6. 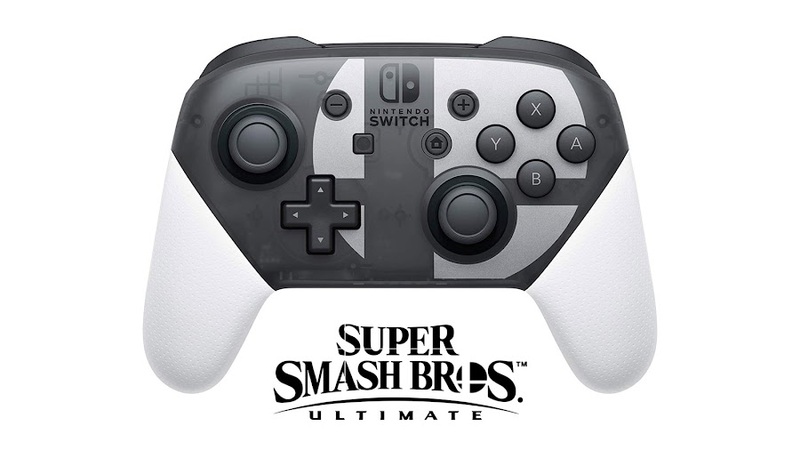 It also comes with a stylish Super Smash Bros. themed Switch Pro controller. You should also know that within the world of Super Smash Bros. Ultimate, many characters have become "spirits" upon losing their forms and they will assist the players in fight. There is a huge list of them that you can assign as primary and support spirits. These spirits will power up the fighters during a match or provide abilities like speed or strength. Mix matching them in certain way to compatible character would earn them extra perks to win a fight against selected opponents. 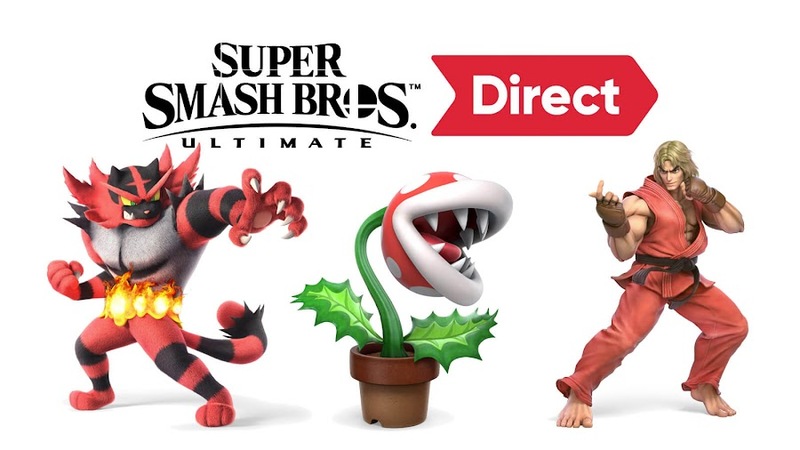 Another bit of news from today's Nintendo Direct that knocked everyone's socks off is the addition of the iconic common enemy Piranha Plant from the Super Mario Bros. platformer games as a playable fighter that will be rewarded as an early purchase bonus. 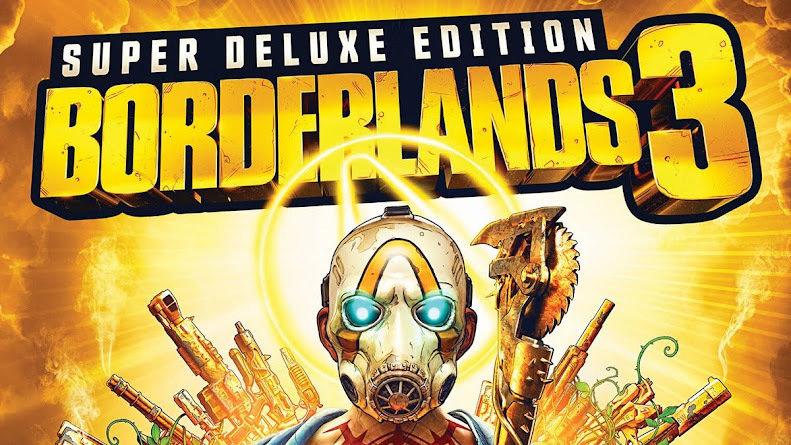 It is all mouth and teeth mostly lurking beneath warp pipes, will be available on February 2019 for free to those who would pre-order the digital version of the game or just register game card to their Switch devices before January 31, 2019. Apparently, there will be five more characters developed as post-launched DLC content containing a unique playable fighter (not an Echo) with their own stages and themed background music, each set will be available for only $5.99. These yet-to-be-announced DLC packs can also be yours when they are released if you simply purchase the Fighters Pass for $24.99 only. 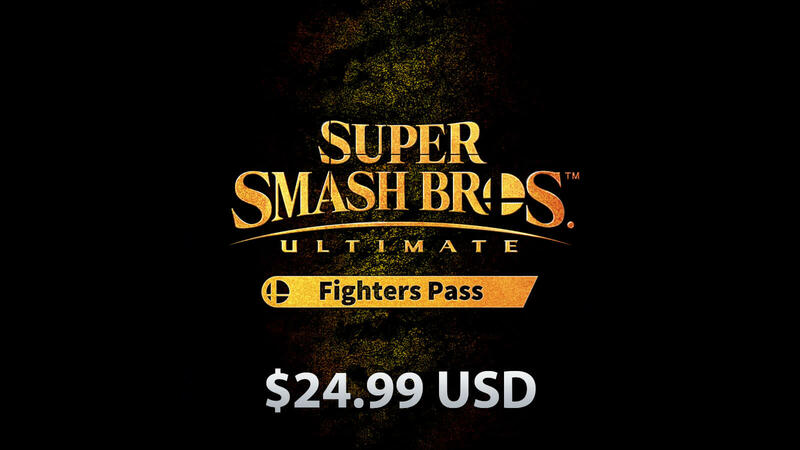 Additionally, placing the pre-order for digital version of Ultimate added with a Fighters Pass from Nintendo eShop within December 6 gets you 425 bonus Gold Points. 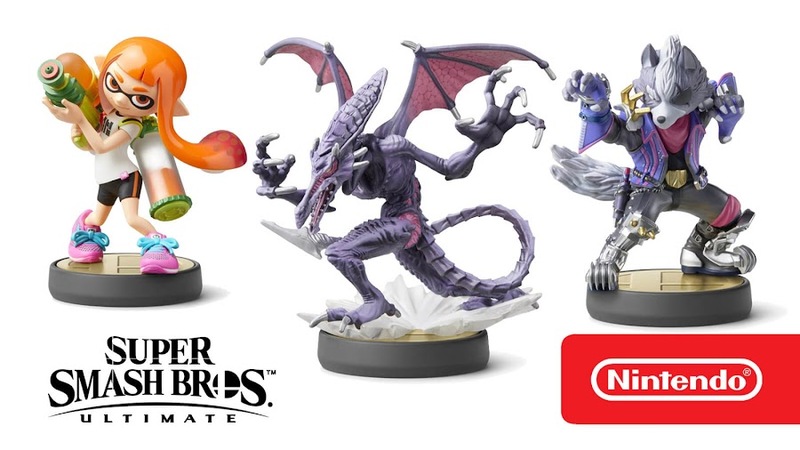 As announced previously, every fighter from Ultimate will have their own amiibo figures and that includes the one from DLC as well. 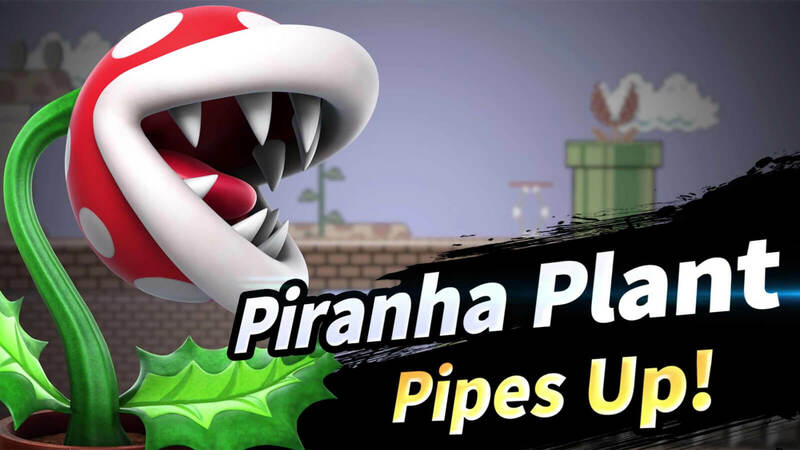 Recently revealed Ken, Incineroar and Piranha Plant are no different from the treatment while some of them are coming shortly. 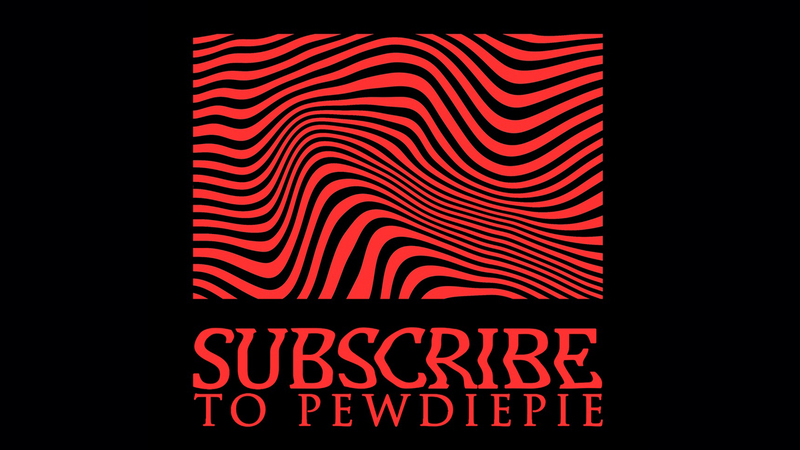 Alongside the launch of Super Smash Bros. Ultimate, Inkling, Ridley and Wolf amiibo figures will come out on December 7. By February 15, 2019, players can get their hands on King K. Rool, Ice Climbers and Piranha Plant. Later at some point the same year Isabelle, Pichu, Ken, Young Link will eventually release too. Titled World of Light, the trailer opens up with every character from the game has gathered to collectively face a threat that turns out to be a beam of light which disintegrates everyone's physical form and transformed them into spirits, except Kirby. Masahiro Sakurai has saved up the story mode of the game for last and boy, what a spectacular blast it was. This new adventure is unlike any other you have seen in the entire franchise so far and delivered an intense twist by revealing at the end. Although, the ever-expanding roster of Super Smash Bros. 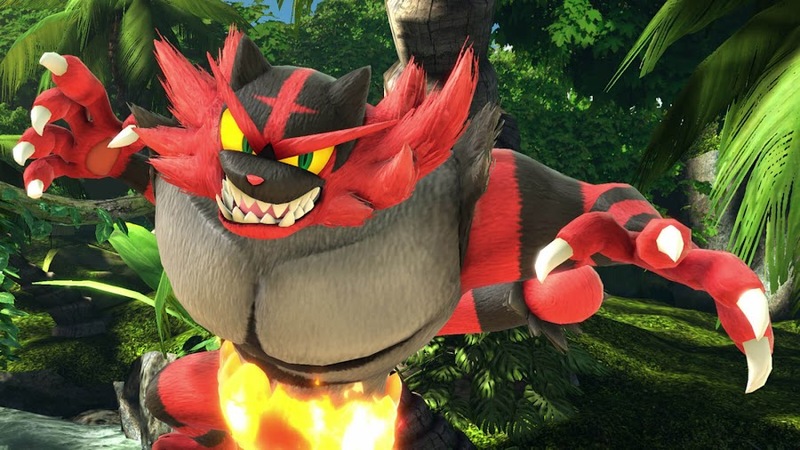 Ultimate made many players' dream come true but also some may have expected a much bigger surprise at the end rather than Ken as an echo fighter and newly added Incineroar. The most saddened part with many was the exclusion of poor Waluigi, who will not even be in Assist Trophy segment. 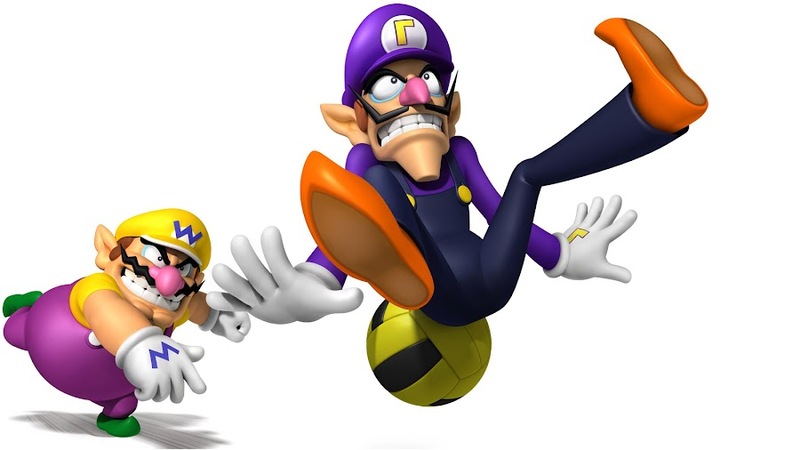 After the characters' utter humiliation at the E3 2018 trailer of the game, Waluigi fans were still rooting for him. When Sakurai went on saying, "That’s all the fighters you’ll find in the game", he literally hit the last nail in the coffin. With that, any hopes of him popping out as a surprise reveal is gone. Perhaps, we can see him in DLC in future? Maybe!? The way previous Nintendo Direct has featured so many characters in the beginning, some of us honestly thought, we are getting introduced to more of them but since Ultimate always aimed for bringing back the existing stars of the franchise, they really weren't interested to draft in new fighters.